Dear Students, so many Banking and SSC examinations are queued up to be held in the months to come. The two exams are considered to be the most important exams for one to make a headway in her career with a government job. Every government job aspirant needs to break her back in the upcoming months to make a headway in her career in any of these sectors through their recruitment exams. And, when it comes to preparing for these government job exams, one needs to rely on the study material that is based on the latest pattern of these examinations and incorporates everything that could be asked in the exams. Fortunately, Adda247 provides its students with the new pattern study material incorporating the latest theories and questions on hard copy that is real hard to find anywhere else. 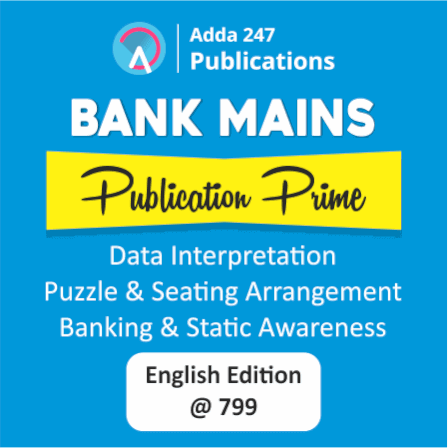 And to cater to the needs of Bank and SSC aspirants, Adda247 now comes up with Publications Prime Packages separately for Bank and SSC Exams. The packages are as follows: Bank Quant Publication Prime: Rs. 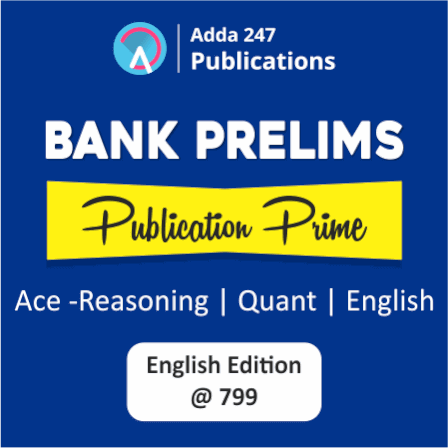 599, Bank Reasoning Publication Prime: Rs. 599, Bank Prelims Publication Prime: Rs. 799, Bank Mains Publication Prime (English Edition): Rs. 799, SSC Exams Publication Prime (English Edition): Rs. 999 and SSC CGL Publication Prime (English Edition): Rs. 699. So students, it's a limited period offer. Subscribe to the packages while the going is good and bring the house down. All the best!! Check All Publication PRIME Offers Now! !